Not to shock you, but 2019 is right around the corner. Yeah, yeah, yeah, 2018 flew by, and it seems like just yesterday we were celebrating New Year’s Eve, but it’s time to stop living in the past and start planning for the New Year ahead. And by planning, we, of course, mean strategizing your next Zara shopping spree. Since the brand churns out new products on a weekly basis, staying on top of what’s new, what’s old, and what is even worth buying can prove difficult. 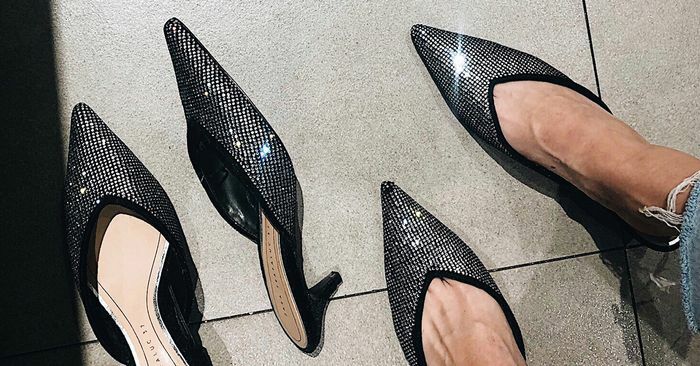 Keeping the new year in mind, we went through and hand-selected all of the Zara shoes we have a hunch will sell out before 2019 even arrives. How do we know this? First of all, some call me a low-key Zara expert (I’m really humble), and second of all, most of the pairs we shopped out below are actually already almost sold out (act fast). Additionally, we factored in trends and seasonality, such as holiday crystals and snakeskin, that the fashion world can’t stop clamoring about. So, if there’s a pair of Zara shoes you’ve been thinking about buying and you see it in the roundup below, add them to your cart ASAP.